Ricky Del Fiorentino is on Saturday, August 24th 2019. At check-in the day before the race–Location Mendocino Fire Department 44700 Little Lake Rd, Mendocino 4-7 pm. On Race Day – 7-8 am. 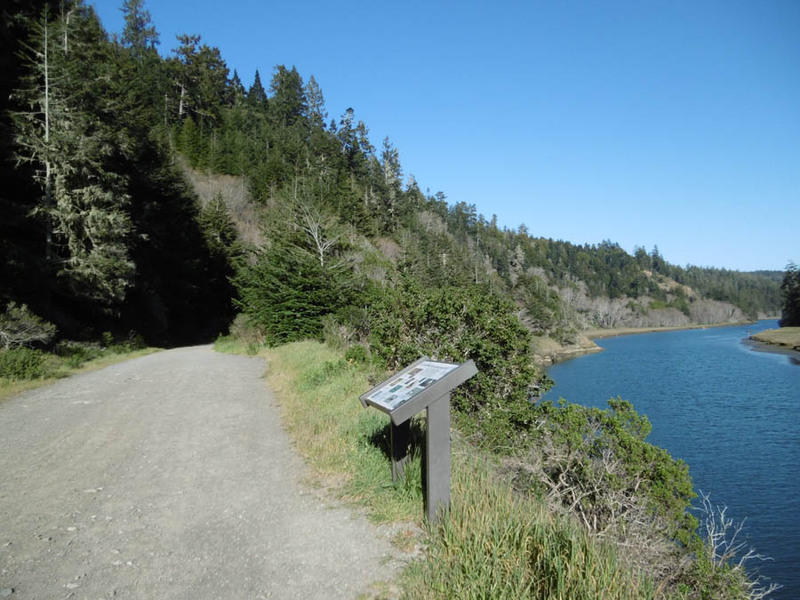 The Big River Marathon, 1/2 Marathon, 10K and 5K consist of a run along the scenic old logging haul road (dirt/gravel) past groves of second-growth redwoods into the heart of the historic Big River Estuary. The flat and wide course meanders along the northern bank of Big River where runners will race out and back, retracing their steps at the turnaround points located 1.55, 3.1, 6.55 and 13.1 miles out. The road is approximately 15 feet wide and maintained; it is commonly used by runners and bikers. State-of-the-art chipped timing is provided by Synergy Race Timing, a California professional chip timing and disposable tag race timing company. Day-of-Race Registration 7:00 a.m. to 8:00 a.m.
Day-of-Race Packet pick-up 7:00 a.m. to 8:00 a.m.
Kiddie Race start 8:00 a.m.
Marathon & 1/2 Marathon start 8:30 a.m.
5K Run & Walk start 9:00 a.m. Given 3 deep in all age divisions. Marathon and 1/2 Marathon runners receive a completion medal. Completion medals for Kiddie Race participants. Runners will be announced as they cross the finish line; there will be music, a raffle, and race fare. If you would like to purchase tickets or race apparel, visit the Mendocino Coast PAL Big River Run Store from this link. Would you like to support PAL, but don’t quite feel like running? Volunteer on Raceday!